Shopping for a new Honda Insight? We see the best value at the EX trim level that skips leather upholstery, but offers an 8.0-inch touchscreen and premium audio for less than $25,000 to start. The new 2019 Honda Insight hybrid sedan takes its looks from the Accord and rides atop a frame borrowed from the Civic. None of that sounds like a bad thing to us. Honda officials say that the Insight is the first step toward the automaker’s larger strategy for electrification, but we see it as a final step for future small cars that’ll be the norm. It starts with the Insight’s looks, which don’t scream anything other than “compact sedan.” The first two generations of the Insight were look-at-me hybrids; the first was a two-door hatchback shape complete with wheel covers, and the second was an egg-shaped Prius fighter with Prius-like looks. The 2019 Insight is more mature than both, and tones down some of the current Civic’s look for a conservative take. It borrows some from the Accord, too, including the useful touchscreen, and gets the best of both parents’ genes—think Ben Stiller, not Martin Sheen. Under the hood is a 1.5-liter inline-4 and electric motor combo that makes 151 horsepower and drives the front wheels only. It’s not particularly fast, but the Insight is very fuel efficient. Our calculators figured combined mileage around 55 mpg, better than the EPA’s estimates. The ride is smooth and composed, although somewhat noisy at times. Crash tests have proved it safe, and the 2019 Insight comes standard with active safety features including forward-collision warnings with automatic emergency braking, active lane control, and automatic headlights. Although the Insight starts at less than $24,000 for a base LX version, we see the most value in the middle of the lineup with the Insight EX. It offers an 8.0-inch touchscreen, Apple CarPlay and Android Auto compatibility, 16-inch wheels, a digital instrument cluster, Honda’s telematics, and cloth upholstery. The Insight Touring starts at nearly $29,000, which is more than the more spacious Accord Hybrid model that we’d recommend to mid-size buyers. More grown up than the Civic, the 2019 Insight is appropriately styled for a night out in the city. Its existence is largely due to the Civic, but the 2019 Honda Insight’s looks should be credited to the Accord. Neither one of those is a bad thing. We get that many shoppers see themselves in tall-riding crossovers more than four-door cars nowadays, but we just wish that they’d see how far good-looking sedans like the Insight have come. The Insight doesn’t borrow much from the Civic’s closet, only the roofline and wheelbase is common among both sedans. The Insight’s curves are tamer than the Civic’s, too, with fewer creases along the side and a more upright nose. The wheel arches are more graceful on the Insight—perhaps a hat tip should go to the Mazda 6 there. Inside, the Insight skips the Civic’s frustrating touchscreen and control layout for one plucked from the Accord, complete with a volume knob. The Insight sports a low dash that helps outward vision (Civic) and digital display that’s functional and easy to understand. Unlike the spicier Civic, the Insight prefers a milder approach to aesthetics and color schemes. The 2019 Insight is relaxed in most of its operation; not great for performance, but fine for ride quality. The 2019 Honda Insight’s small engine and battery combo are stock-in-trade for efficiency compacts—outright performance takes a back seat. We don’t mind much, there’s plenty of leg room. By the numbers, the Insight is powered by a 1.5-liter inline-4 that makes 107 horsepower paired to a 129-hp electric motor. The combined output is 151 hp and 197 pound-feet of torque, although Honda’s approach to hybrid powertrains may be somewhat new to shoppers. The so-called “two-motor hybrid” system primarily uses the electric motor and battery for propulsion, not the gasoline engine. 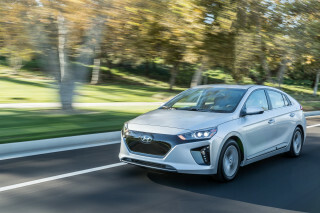 Under certain circumstances, the battery-electric motor can power the Insight without the gasoline engine at all, or all three can clutch together to drive the front wheels. That arrangement mostly skips the need for any kind of conventional transmission—automatic or continuously variable automatic—and largely relegates the gasoline engine to work as an electric generator under most circumstances. The noticeable difference for most drivers may be that acceleration and the gas engine activity may not be directly proportional. At times, the engine could be busier than expected, working hard to provide regenerate power to the hybrid system. At other times, the engine may seem overly relaxed; the hybrid system has enough power to operate without the inline-4. 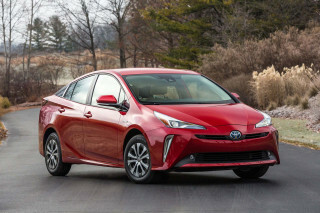 In any respect, the Insight is a tick slower than other cars on the road, roughly in line with other affordable hybrids such as the Toyota Prius. Our informal testing pegged 0-60 mph acceleration around 10 seconds, but 0-30 mph is a little more impressive around town than that figure would indicate. In passing or climbs, the Insight is more leisurely—rural, two-lane highway passes may require some advance planning. The Insight is equipped with EV, Sport, and Econ modes that predictably impact performance, although Sport mode feels out of place here. In our testing, tipping the Insight into Sport made the throttle peppier and the engine rev higher (not to mention pipe in some unnecessary engine sounds into the cabin) but didn’t make the car any faster. Switching over to Econ mode relaxes the throttle response, but didn’t seem to push the car into all-electric mode any more than normal. We’ve found that the Insight is best when operated without micromanaging; start the car up and go. 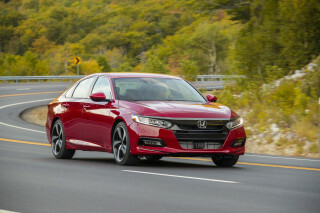 Honda introduced a heavier-than-normal “kickdown switch”—about 25 percent of the throttle is past a heavy detent that seemed awkward—so a relaxed attitude is best with the Insight. The Insight benefits by sharing most of its structural components with the Honda Civic, including a MacPherson front suspension setup and multi-link rear suspension. The Insight gets the top-shelf fluid-filled bushings from the Civic that tempers road behavior in a way that other compact cars largely don’t have budget for. 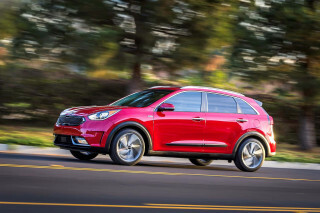 Base and EX trim levels get 16-inch wheels with bigger sidewalls that have more give, but our turns behind the wheel of Touring versions with 17-inch wheels were far from fussy. The Insight steers well, although its chunky steering wheel hints at a sportier mission than the car delivers. Big, 11.1-inch rotors up front arrest the Insight confidently, seamlessly switching between friction and regenerative braking without issue. Honda engineers have found a somewhat interesting use for the Civic’s steering-wheel mounted paddle shifters: they click through three levels of regenerative braking force in the Insight in a puzzling way. Dialed in to their most aggressive regen setting, the Insight still won’t be a one-pedal driver for most owners. That may be disappointing to some seasoned green-car shoppers. 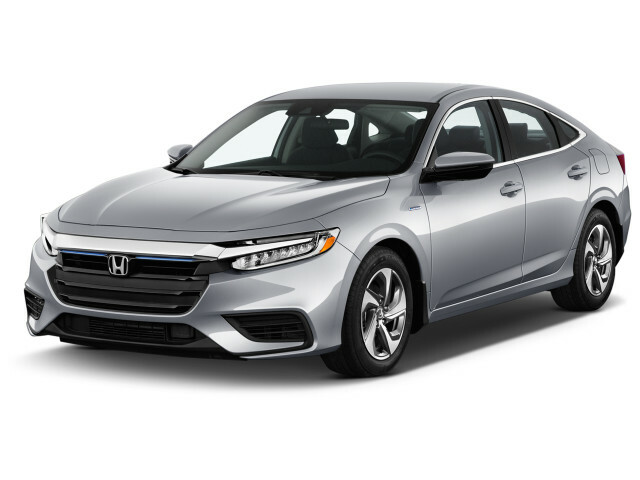 With good bones, the 2019 Honda Insight excels at being a compact car that punches above its class in comfort. Forget the hybrid powertrain all together and the 2019 Insight excels at being a compact car. It should; like the Civic from which it’s based, the Insight has mid-size dimensions inside. By the numbers, the Insight offers 112.7 cubic feet of room inside, including 15.1 cubic feet for the trunk. The front seats are supportive and comfortable, but ride a little lower than some may expect. There’s plenty of head room up front for the longest torsos at 39.3 inches, and long legs should fit just fine too with 42.3 inches. A moonroof doesn’t cut too much into available head room, and the Insight’s telescoping steering wheel and long seat travel would make a T-rex comfortable behind the wheel. Maybe. In back, the Insight offered just enough head room and 37.4 inches of leg room for our big-bodied, 6-foot-3 editor to ride behind someone of equal size. Long road trips with big adults should be possible, but perhaps not palatial. Like the Civic, the Insight has somewhat thin seats (but they don’t skimp on comfort) that offers good knee room for rear-seat riders. The Civic has grown over successive generations and that’s a boon for hip room for big, wide American bodies. Clever packaging, such as a battery in the transmission tunnel near the driver’s knee, means that the Insight offers a good-sized trunk that should hold plenty of gear. A wide trunk opening makes the space that much more available to use. A 60/40-split folding rear seat is standard on EX and Touring trim levels. Active noise cancellation in all Insights works hard to quell outside noises, although some filter into the cabin anyway. Because of how the two-mode hybrid system operates (we cover the powertrain above), sometimes the engine and overall speed aren’t in sync with the driver’s right foot. That led to a noisier cabin that we expected at points around Minneapolis. Compared to a Toyota Prius, the Insight’s engine seemed noisier although the Honda was more comfortable overall. The 2019 Honda Insight has earned top marks from crash testers and it comes with advanced safety tech. Official crash-test data from the feds and independent testers tells a commendable story for the 2019 Honda Insight. Federal testers gave the 2019 Insight five stars overall, including five stars in every category. The bundle includes forward-collision warnings with automatic emergency braking, active lane control, traffic sign recognition, and automatic headlights. EX and Touring trim levels get a mirror-mounted camera on the right side that helps peek into that blind spot. 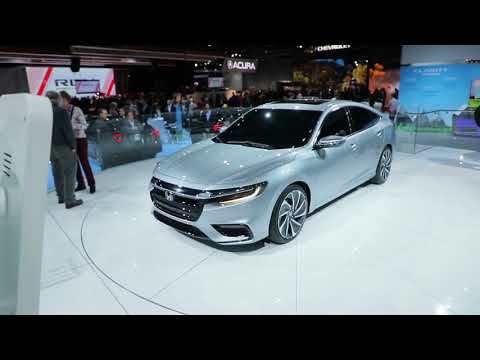 Even at roughly $3,000 more than a comparably equipped Civic, the 2019 Honda Insight offers a compelling value to hybrid shoppers. 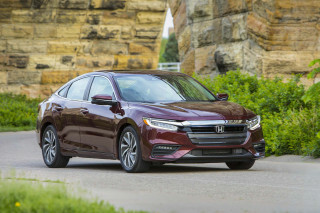 Depending on your worldview, the 2019 Honda Insight is either a well-equipped compact sedan or a mainstream hybrid that flies under the radar. We see both, and for less than $30,000 in all configurations, we also see value. At the LX trim level for $23,725 to start, the Insight offers 16-inch wheels, LED headlights, a 5.0-inch display for audio, Bluetooth connectivity, one USB port, cloth upholstery, keyless ignition, and a suite of advanced safety features called HondaSensing that we cover above. The Insight Touring trim is the top of the pile and costs $28,985. 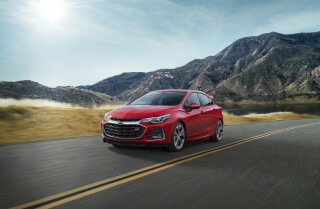 It offers navigation, a moonroof, 17-inch wheels, premium audio, power adjustable heated front seats, 17-inch wheels, an 8.0-inch touchscreen for infotainment with Apple CarPlay and Android Auto compatibility, leather upholstery, and a mirror-mounted camera on the right side for better blind-spot visibility. We see the best value at the EX trim level, which is right in the middle between the LX and Touring trim levels. EX-equipped Insights get active lane control, the 8.0-inch touchscreen with smartphone compatibility, cloth upholstery, 16-inch wheels, and two USB ports for nearly $25,000. Honda doesn’t offer many options in its trim levels, but thankfully has made active safety features standard across the board. The 2019 Honda Insight is among the most fuel-efficient cars on sale without a plug. At 52 mpg combined in most versions, the 2019 Honda Insight hybrid is among the most fuel-efficient cars on sale without a plug. Honda’s clever two-motor hybrid system works well at keeping the compact sedan frugal, but the Insight’s fundamental differences with other hybrids means that it could operate differently than buyers are expecting. Honda expects that the EPA will rate most versions of the Insight at 55 mpg city, 49 highway, 52 combined. The Insight Touring trim is rated slightly lower at 51/45/48 mpg due to bigger tires and heftier curb weight. Among compact hybrids, the Insight holds its own. The Ioniq is rated at up to 58 mpg combined and the Toyota Prius clocks in at up to 56 mpg combined. In our testing we easily beat the EPA’s figures. In over 80 miles of testing around Minnesota and Wisconsin—mostly highway driving which is less fuel-efficient for hybrids—we clocked 55.2 mpg. Looking for a different year of the Honda Insight?